The rooms provided by the Hotel Orange Lily have been decorated very beautifully. The rooms are extremely spacious, well furnished and have been painted in warm colors. Large windows have been provided in each room that allows the guests to enjoy some amazing views of the city. The impressive wooden tones add an elegant touch to the space. 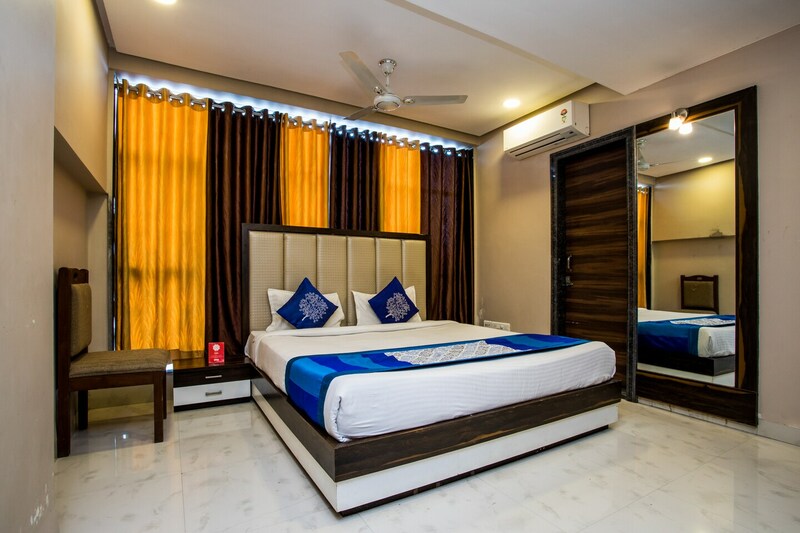 The additional features provided by the hotel are free Wi-Fi, an uninterrupted power supply, parking provisions, an elevator facility, laundry provisions, and CCTV cameras. The in-house facilities comprise a banquet hall and a common lounge. All these facilities enhance the overall stay experience at the hotel.